Talk about a stunning necklace! 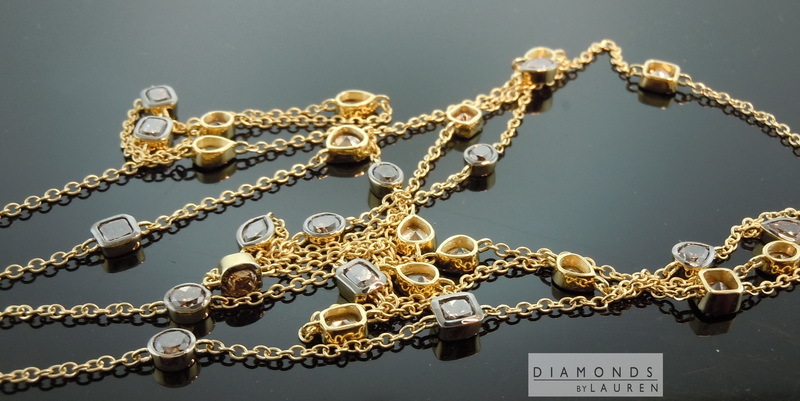 This remarkable piece features 45 assorted diamonds – there are pair shapes, cushions, and ovals. 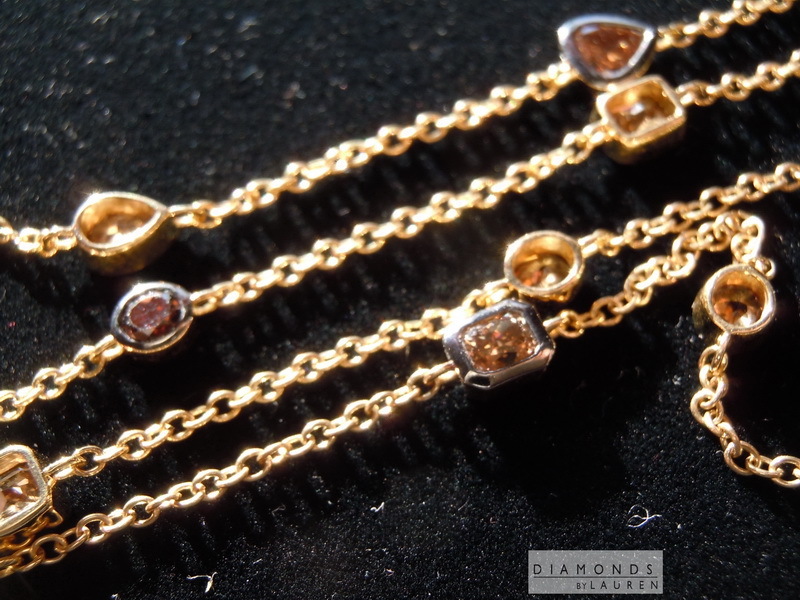 We carefully selected the 45 stones for a large parcel directly from the cutter. If you follow our site, you know we love these complex colors – I see a lot of orange in the stones, of course brown is the predominant color. I also find a few of them to be a bit rosy. The cuts are beautiful, and funky. For example some of the pear shapes almost look like heart-shapes. The variation is beautiful and seemingly endless. 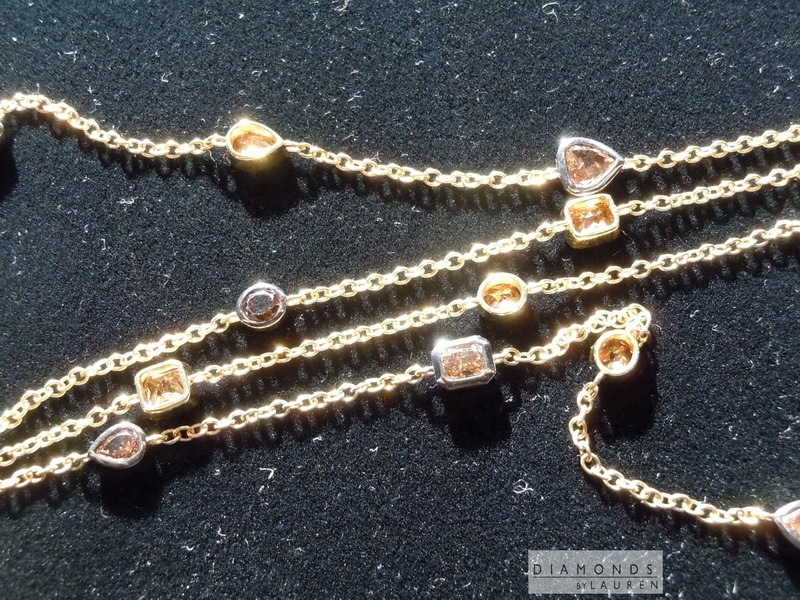 The necklace itself is crafted in 18 karat yellow gold. 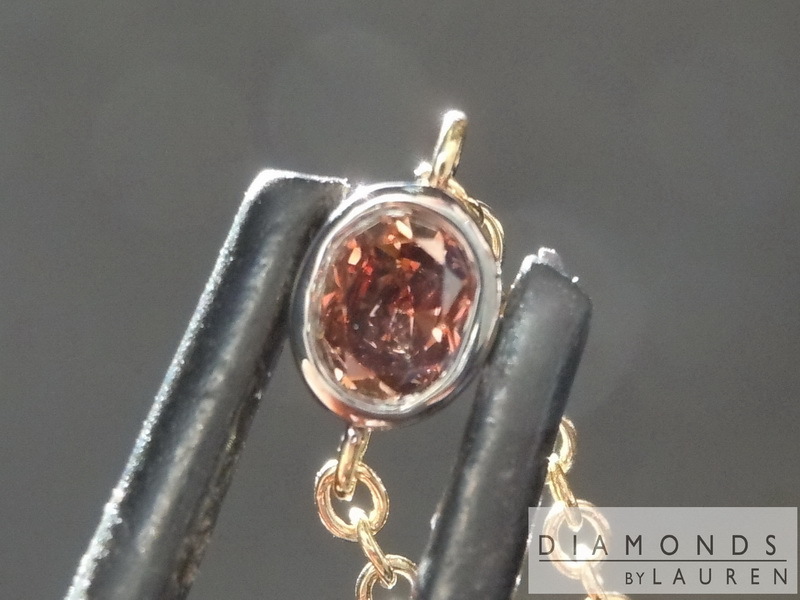 There are handmade bezels for each stone which are finished with black rhodium. 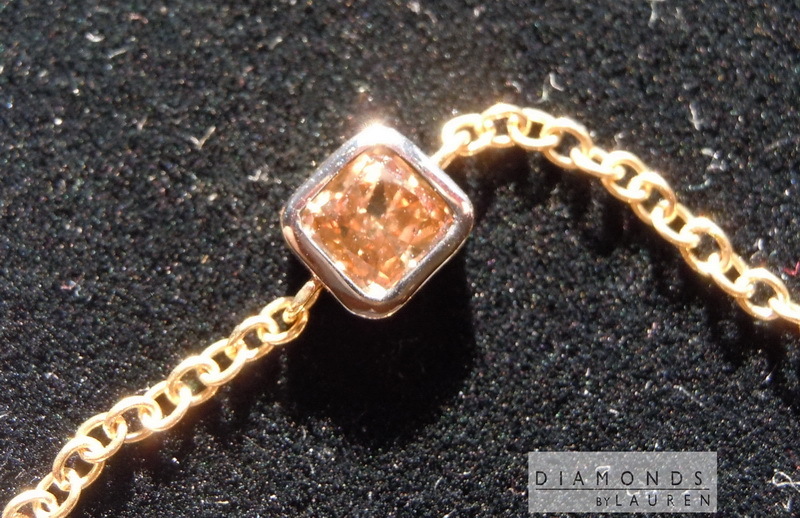 This gives a distinctive two-tone look, and highlights the remarkable vivid colors of these diamonds. At 56 inches many people will be able to wrap it three times around the neck.